If you’re interested in calling Austin home, then contact Sterling Custom Homes. For more than 20 years, the Austin builder has been one of the top home builders in Texas boasting cutting-edge designs and unique floor plans, to fit every buyer’s needs. Not sure if you want to live in one Austin’s premier custom home, private gated and resort golf communities? Sterling’s homes are featured at all types of luxury locations. You’ll find them at Lakeway, Village of the Hills, Rough Hollow, Caslano, Seven Oaks, Barton Creek, Mirador Drive, River Place, Spanish Oaks and The Reserve at Lake Travis. Why put it off any longer? Contact Sterling Custom Homes today to begin designing the home of your dreams. 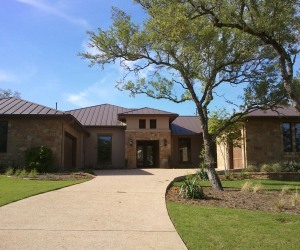 This entry was posted in Energy Efficient, Green News, News and tagged Austin luxury real estate, home builders in Texas, sterling custom homes on July 10, 2011 by admin.